Don’t miss your chance to buy Discover Seoul Pass BTS Edition! 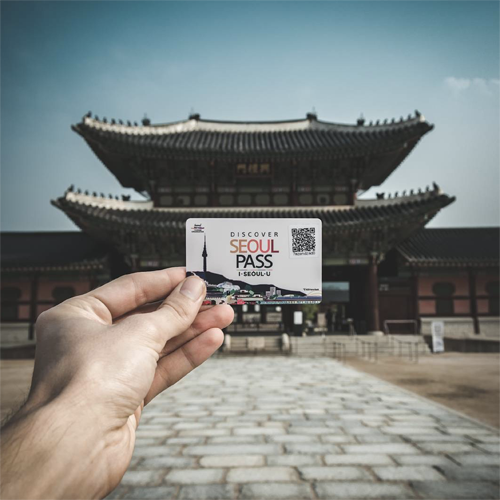 Discover Seoul Pass includes Free admission to 35 major attractions in Seoul, popular among foreign visitors and Discounts to 29 attractions, including performances, duty-free stores, and more. Also, grap this chance to buy the Exclusive Discover Seoul Pass BTS photo postcard and English tourist map. Smartphone application service provides information about the attractions and remaining time on the pass. ** Discover Seoul Pass BTS Edition, don’t miss your chance to order! Only a Limited amount of Card will be offered and can be Sold out Soon! – Free Admission and Discount Benefits: You can visit 35 popular tourist attractions for free during 24, 48, 72 hours and receive an additional discount for 29 attractions, shows, and duty-free shops. 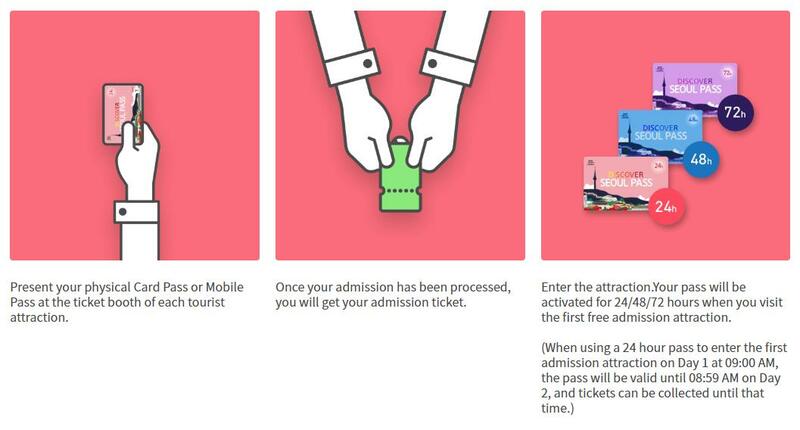 – Various pass types: The 24/48/72 hours are available as the physical card passes. 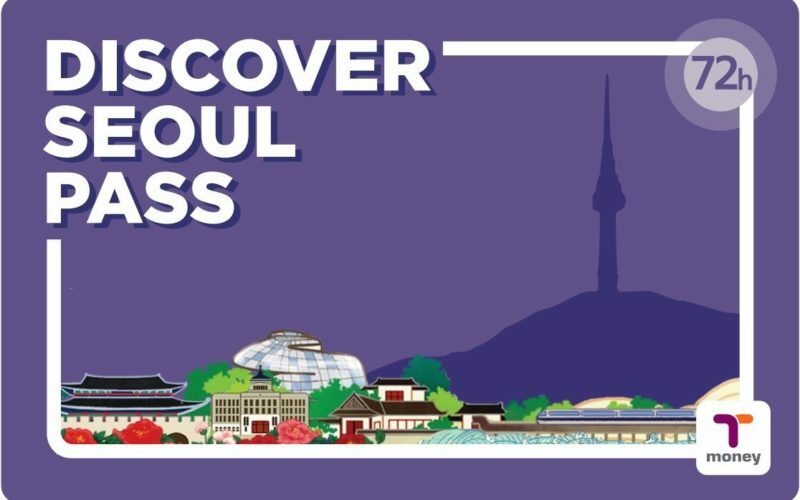 Also, you can buy Discover Seoul Pass BTS Edition! 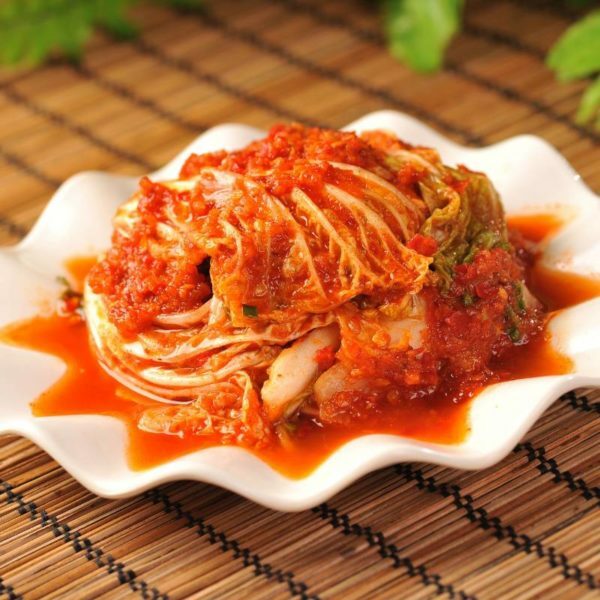 ** For Recommendation of 24 or 48 hours Itinerary in Seoul, please refer below Itinerary Section! - Lost passes cannot be refunded or reissued. - The transportation card function (Tmoney) is available for an unlimited amount of time and will not expire. 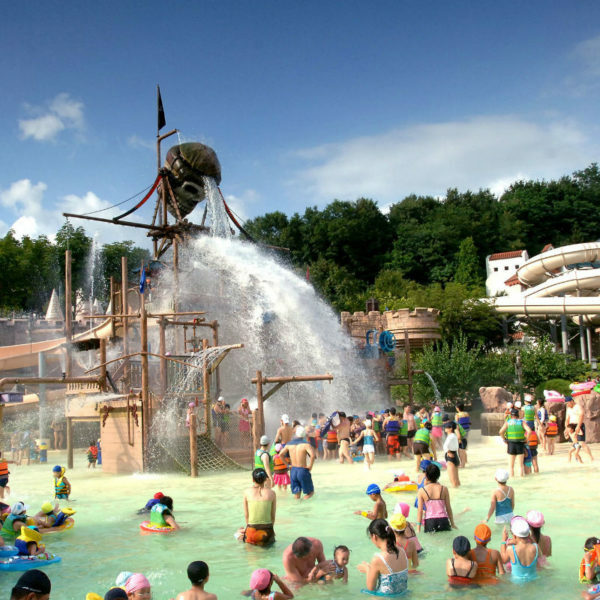 - Physical pass: You must present your physical pass at each attraction you visit. If you do not have your pass, you may be denied entry. - Please check the opening hours and days before visiting an attraction, as they may be subject to change. - Before visiting, please check government policy mandated free admission benefits to royal palaces and art museums, such as Culture Day (last Wednesday of each month (as of 2018)) and age-based free admission (ages 65 and up) to use your pass even more effectively. 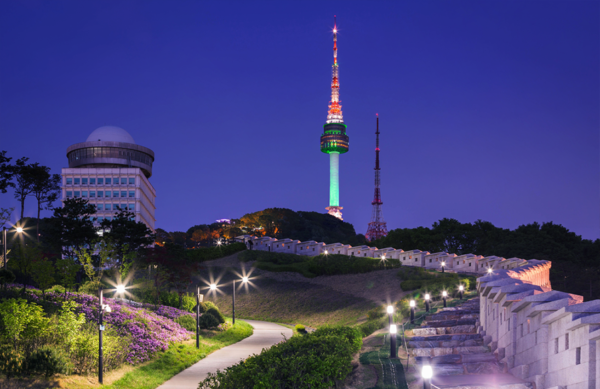 - The Discover Seoul Pass covers general admission to the attractions. Special exhibitions, events, etc. may not always be covered by the Discover Seoul Pass. Please inquire with each attraction for details. - We will not take responsibility for any dispute as a result of using the Discover Seoul Pass purchased from a non-authorized vendor. - The pass cannot be used if the QR code has been damaged. The pass user is responsible for any issues that arise from damage being done to the QR code. 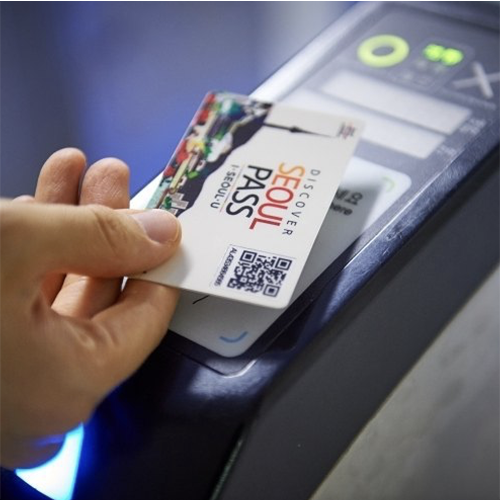 - When using a bus or the subway, touch your pass to the card reader located at the bus entrance or subway turnstile. No refund: After purchasing the card only you can change the date before the use date. - No refunds are issued for lost or misplaced passes. - Refund is not possible for cards that have been used even just once, whether it was for admission to attractions, topping-up transit funds, or boarding public transportation. 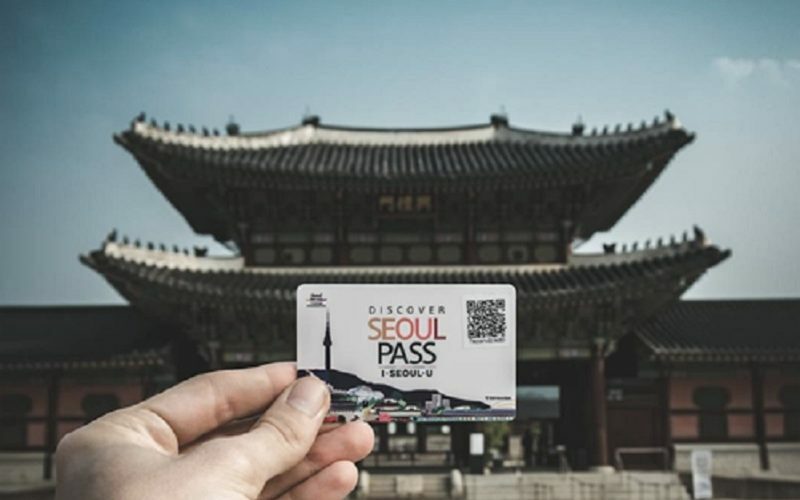 - Once the Discover Seoul Pass has been used, it is not possible to obtain a refund, even if public transportation becomes partially inoperable or attractions become closed temporarily. 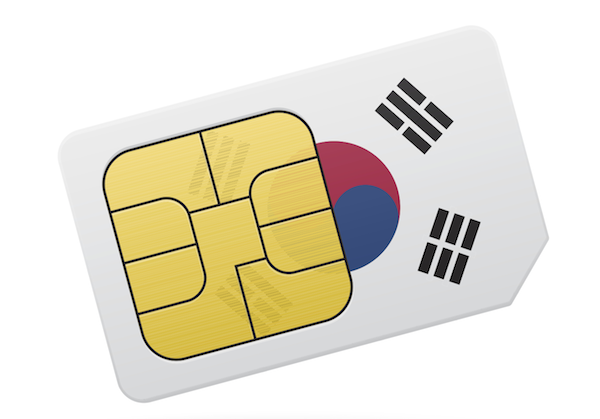 - If the Discover Seoul Pass was used fraudulently, the card is voided and the user must pay the normal or additional fees according to regulations. 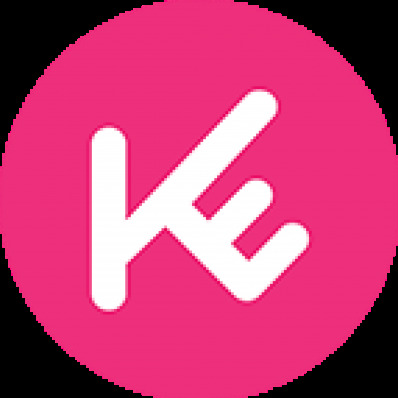 Thank you for choosing KoreaTravelEasy for discover pass and sharing your review with other travelers. We also appreciate your valuable advice. Fantastic pass. Wonderful to include BTS. Thank you for purchase and kind comments. Hope you enjoy the travel with BTS card!